A hand massage is an easy and quick way to relax and de-stress. Often given at the end of a manicure, or as a 10-minute session on its own, it's an ideal way to sit back and relax if you don’t have the time for a full body massage. A quick and easy way to add a little well-deserved ‘me’ time into an otherwise busy schedule, a pampering hand massage is both soothing and relaxing, and a great way to nourish sore or overworked joints. 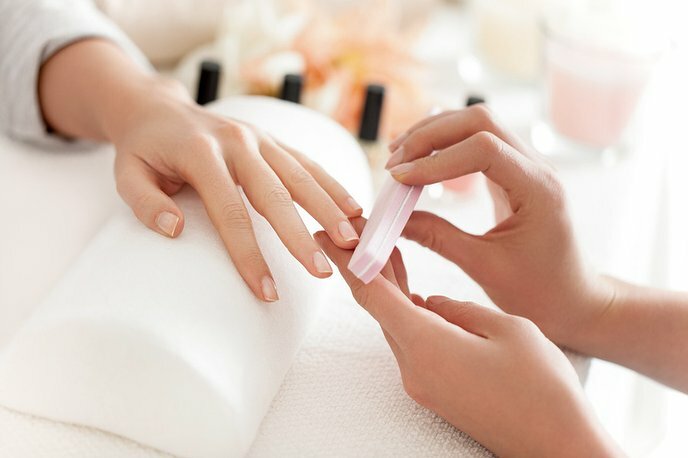 From repetitive strain from regular computer use to everyday wear and tear, our hands are often the last thing we think of when it comes to a pamper session, but often times a good and thorough kneading on our hands and wrists can really help to release tension and get you on the road to relaxation. On average, your massage will take between 10 and 30 minutes for both hands, and is often offered as a pampering add on to a manicure session. Performed either lying down or sitting, the massage is usually administered with either special aromatherapy oil or lotion, which is ideal for nourishing and softening dry or overworked skin. Using his or her palms, thumbs and knuckles, your masseuse will start by kneading your hands using a variety of different techniques to help release tension and aid in relaxation. These movements include stretching the muscles of your wrist, fingers and palm, using gentle friction to warm the skin and loosen up your hand, using gliding pressure to release tension and working the joints of your hand to limber them up (which is a perfect release for people who spend hours at a computer everyday). On average, your massage will take between 10 and 30 minutes for both hands, and is often offered as a pampering add on to a manicure session. Many salons also offer a number of even more luxurious add-ons to a hand massage, such as hydrating paraffin treatments and reflexology. Also great for people who suffer from bad circulation, when the massage is complete your hands will feel warm, relaxed and tingling. A great way to add strength and length to your natural nails, overlays and nail extensions are a good option to consider if you have weak nail beds or don’t have the patience to grow them long naturally. Designed to look as real (or fake) as you like, the process is quick and easy, and will give you polished, glamorous looking nails for weeks to come.